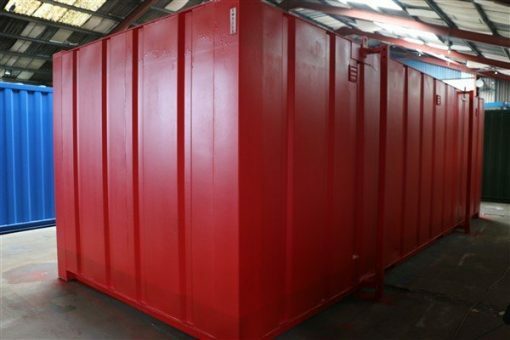 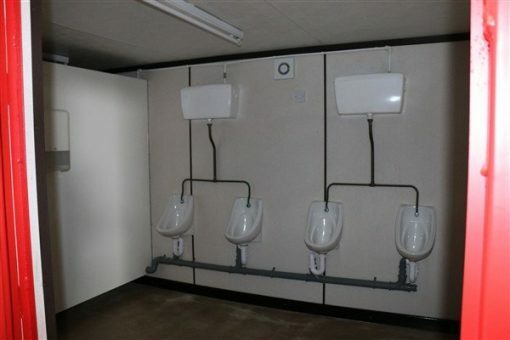 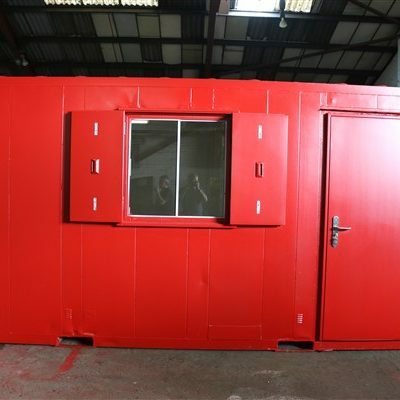 24ft x 9ft 4+1 toilet block, painted 3020 red with four toilets, four urinals and four sinks with hand washes, within the gents room. 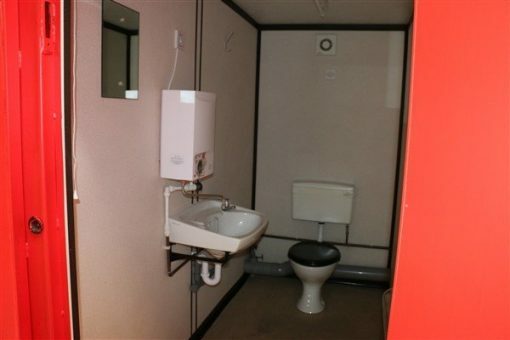 The ladies room has one toilet, one sink and one hand wash. 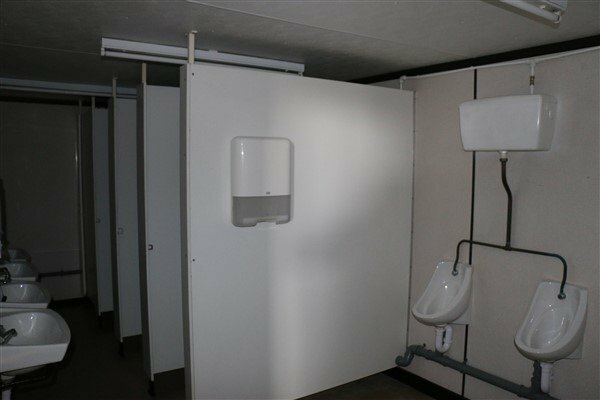 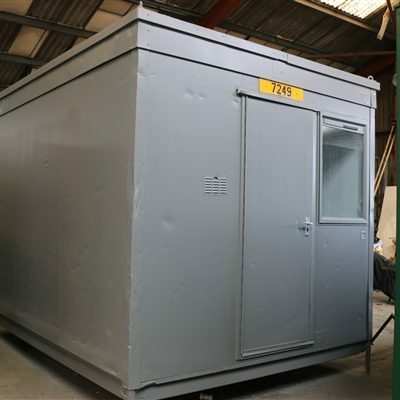 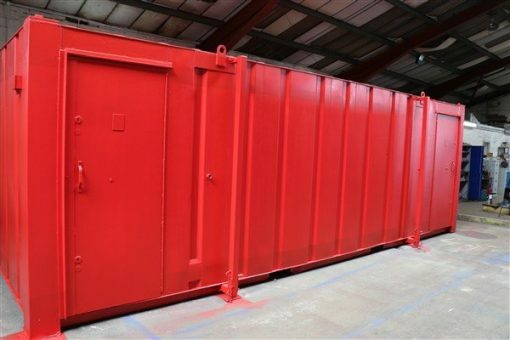 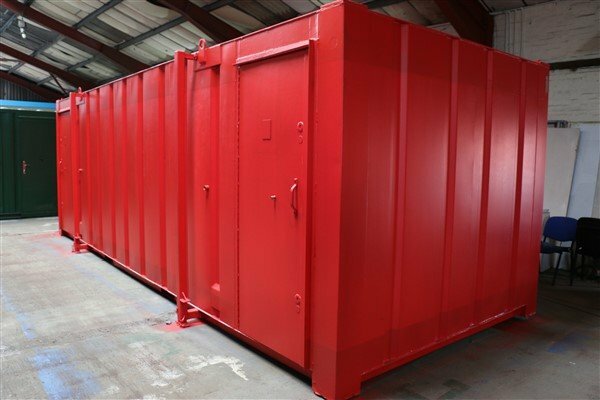 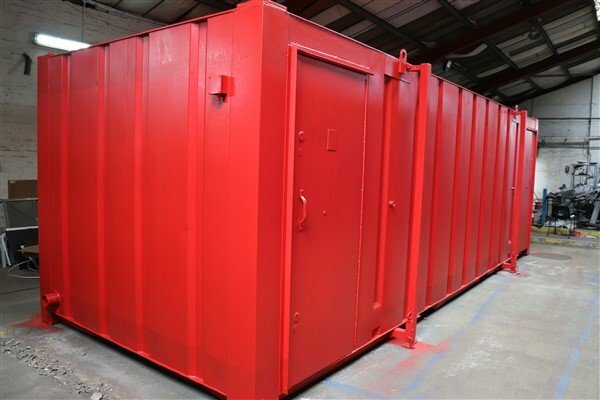 Both sides have full lighting, heating and high level fans, the toilet is fitted with jack legs and is fully secure with two deadlocks fitted to each steel door.